The luncheon is at noon in the Villanueva Victory Club on the third floor of the Fulton Athletic Center. Coach Menzies will honor the Aggies four seniors, Remi Barry, DK Eldridge, Daniel Mullings and Tshilidzi Nephawe at the luncheon. The buffet-style lunch, including drink and gratuity is $12, and is payable at the door. 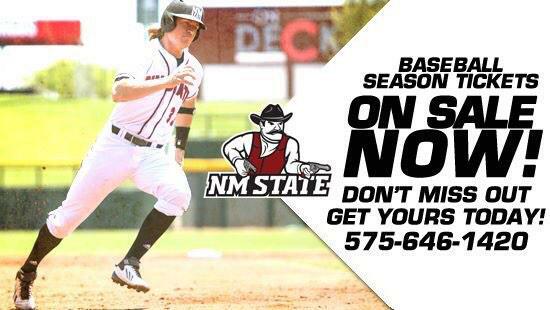 The Aggies play their final regular season game next Saturday night, March 7, at 7 p.m. It’s Pack the Pan Am Night for the annual Senior Night and the US Bank/NM State Athletics Hall of Honor. Limited tickets for the game with Chicago State are available by calling 575-646-1420.